In the past, I’ve talked about and compared cities in The Crew to their real life counterparts. The main cities in the game I’ve done comparisons of are Dallas, New Orleans, Los Angeles, and Miami, just to name a few. Well after driving around large portions of the map of the USA in the game, I’ve found that there are a few hidden cities in the game that were not mentioned by the developers. Nashville in The Crew is certainly a surprise, but let’s take a closer look at Nashville and other hidden cities. Nashville is a booming city in real life today and it is well known for its music scene by a lot of people especially in the country genre. The city is not one of the main 12 cities listed as officially being in the game, nevertheless, it is actually there. In order to get to it, you’ll need to drive to near the center part of the map and go east past the Mississippi River just a bit. You’ll definitely see high-rises when you get near it, but let me tell you, while there are some skyscrapers, the city is not very big at all. It’s just about the size of a town in the game and nothing more. No freeways or other recognizable landmarks Nashville is really known for. The skyscrapers that are there are repeat towers found in some other cities such as New Orleans. It’s a bit disappointing in that aspect, but since this was not a city mentioned as having officially being in the game, that it is understandable. It is nice though just to drive around and explore and find that the game’s version of tiny Nashville is there. This city isn’t the only hidden or unknown one in the game so let’s take a look at some more. 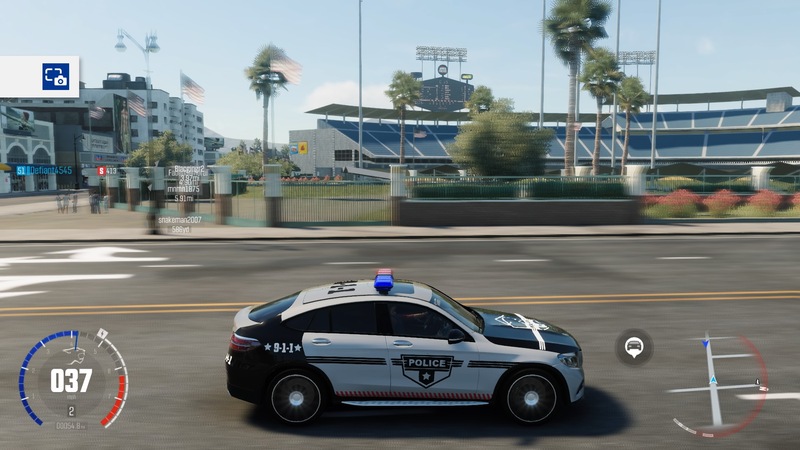 Yes, believe it or not the city of Tampa is in the game. Like Nashville though, the city is not very big, but it has a few more towers than Nashville in the game. It’s located in the western side of what is known as Florida in the game and the geography of it kind of resembles the real life city. For one, I like that when you go through the small city, you cross a body of water known as Tampa Bay. The number of city blocks are a little bit higher than the previous city I had gone through, but not by a whole lot. The city on the other side of the bay is not there though which is St. Petersburg. Nevertheless it is cool to find this city in the game. I was hoping that maybe Jacksonville or Orlando would also be there. Does this mark the end of hidden cities in The Crew? Absolutely not! We’ve got some more to see and go through. This is not a major city by any means in real life, but it does have a population over 100,000 and believe it or not, this city is in the game. It’s actually in the area of what would be considered the Texas Panhandle. In real life Amarillo had the famous Route 66 passing through it, and has just a couple of high-rises in its downtown area. The game also has some high rises in downtown Amarillo and they actually for the most part resemble what Amarillo looks like more than the other cities above. I do think though that it has a little more office buildings than what it actually does, but nevertheless, it is cool to see it in there. Depending on where you are in the in vicinity of Amarillo, you can also Dallas’ skyline off in the distance. I just like the fact that at certain places in the game, you can see the skylines of other cities in the distance even if you are in another major city. Believe it or not this Texas city is in the game as well. It is just a very tiny version of the real city and it doesn’t resemble much like the real El Paso. It’s just a few city blocks and that is it. I didn’t realize I hadn’t been on the main highway in that vicinity of it where you exit off and head there. No worries though as I fast traveled just a few miles east and was able to drive there in no time flat. When you drive into El Paso in the game, it certainly resembles more of Santa Fe, New Mexico than anything else. The city in real life is right across the Rio Grande River from Mexico, plus it is in a desert climate so at least they got that part right. El Paso is a fairly good sized city and it does have a skyline though not a very big one like a lot of other cities its size. In the game though, you’ll notice that there are no mid-rises or high-rises in it, just low rise buildings that resemble the architecture of the southwestern part of the United States. That’s certainly not a bad thing since it does fit the look of that region. I thought it interesting they chose El Paso and even Amarillo as other smaller cities to hide in the game. They certainly left out other Texas cities such as Forth Worth, Austin, San Antonio, and Houston. I would’ve loved to see some version of each of those cities in The Crew. This city is in California and really not much talked about compared to the other bigger cities in that state. The city in real life has a population of over 500,000 with a metro of slightly over 920,000 so it is not a small city. Similar to El Paso and Amarillo, it doesn’t have a large skyline, but thankfully unlike El Paso in the game, it does have some taller buildings that actually resembles more what Fresno really looks like. What’s neat about it is that there is a nice sized baseball stadium in its downtown area for the city’s minor league team which is accurately represented in the game. Out of nearly all the hidden cities in the game, it is a surprise that the game developers chose Fresno of all places to mostly resemble the real life city. What makes Fresno very interesting in real life is that it is the largest city in the United States that is NOT on the country’s main interstate system. I think in the future there are plans to change that and Fresno does have a few state route freeways going through it, but not an actual interstate. The game definitely shows this very accurately though most of the other smaller and hidden cities in the game don’t have freeways or interstates going through them either. Last, but not least, we have Sacramento which is the capital of California. This city is a pretty good sized city in real life and has a decent skyline for itself. Believe it or not though, the skyline of Sacramento in the game fairly closely resembles some of its major high-rises which is a surprise considering most of the other hidden cities in the game generally don’t and are just mainly repeat office towers. You’ll also see the capital building itself in the game which closely resembles the real one. 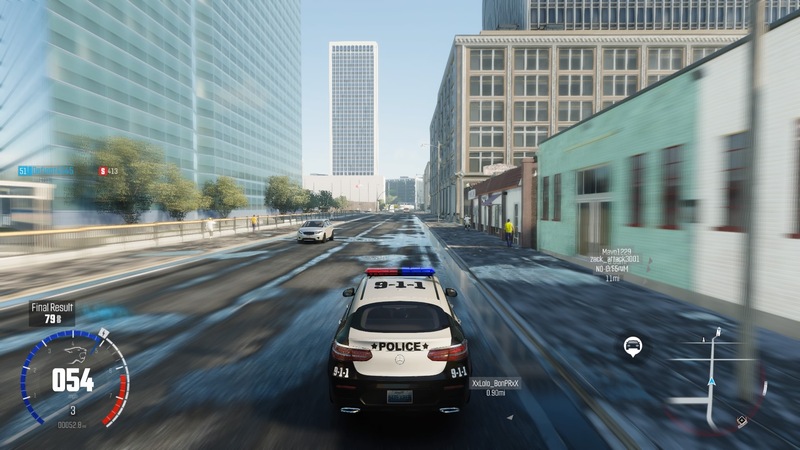 Out of all the the (hidden) cities I’ve mentioned above that are actually in this game, I think I prefer Sacramento the most because it just resembles the real city more than any of the others do though Fresno is not far behind. There you have it folks! A total of 6 hidden cities that I have encountered on the huge map in The Crew. I was certainly surprised that there were this many, but I’m glad they are in there at least. The developers of The Crew did good by doing this is it gives players all the more reason to drive around and explore. I certainly hoped that with such a large open world, the developers wouldn’t leave it completely void and empty and by including these cities in with the main 12 cities, it just makes it that much more worthwhile to explore and drive around for just leisure purposes especially if you want a break from racing. What do you think of these cities being in the game? Was that a good choice or should they have included more? I certainly would’ve loved to see other ones such as Kansas City, Tulsa, Atlanta, and Denver just to name a few. Check out my video below of my visit to all these hidden cities. Wildlands Open Beta is About to Arrive! This looks like a pretty interesting game, I really enjoy driving games and this one looks quite realistic compared to many others on the scene. Does your car take damage? I noticed in your video you bumped another car (not to badly) but does that sort of bump cause damage and affect the driving sensitivity? Hi there Kamil! Yes, a vehicle can take damage, but it depends on how hard you hit something too and the odd thing too is that if you drive for awhile without hitting anything else, the damage seems to disappear. The damage doesn’t affect driving sensitivity either. Not sure why the developers chose to do this, but I still enjoy the game a lot. You should definitely give it a try. It certainly isn’t a GTA game and you can’t run over people, but you practically anywhere you want and the game map is absolutely huge.